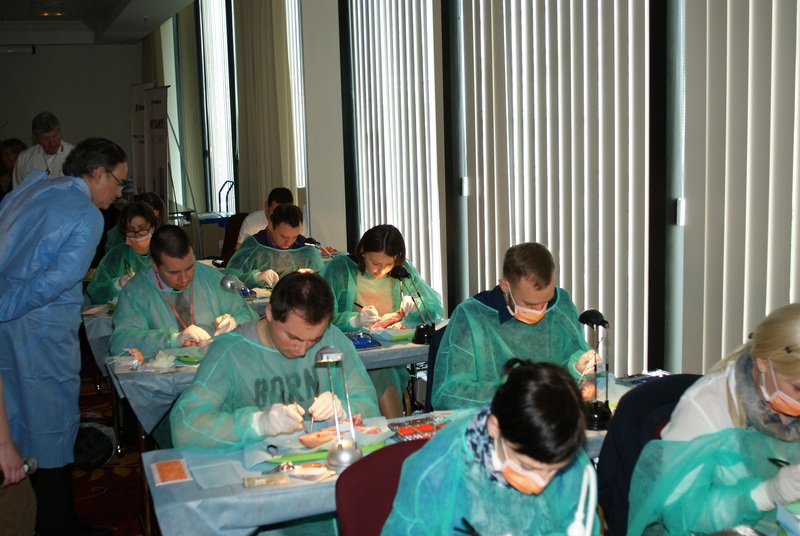 Participants will perform in the pig mandible different surgical procedures for root coverage and for soft tissue augmentation techniques, both with autogenous connective tissue grafts and with soft tissue substitutes. 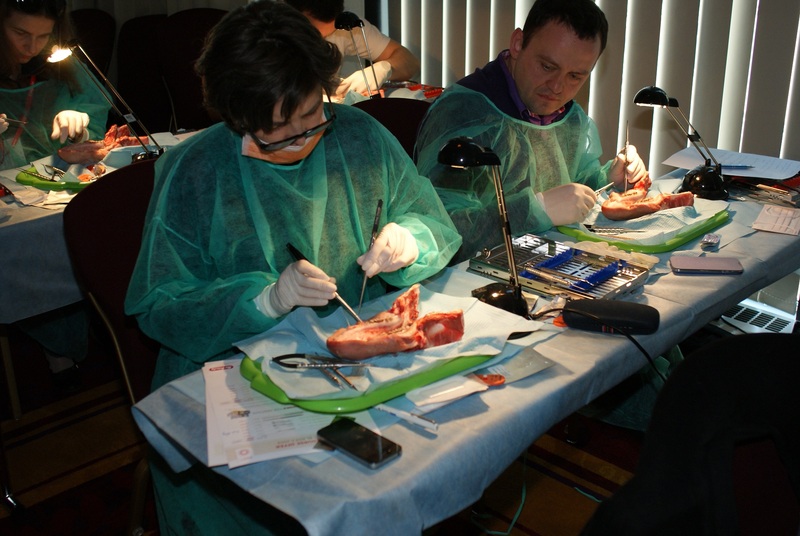 This workshop is aimed to acquire surgical skills in soft tissue plastic techniques. Two surgical indications will be covered, soft tissue augmentation techniques for augmenting the width of keratinized tissue and root coverage techniques the treatment of localized gingival/mucosal recessions. As introduction the objectives and detailed description of these techniques will be reviewed and illustrative cases will be presented. 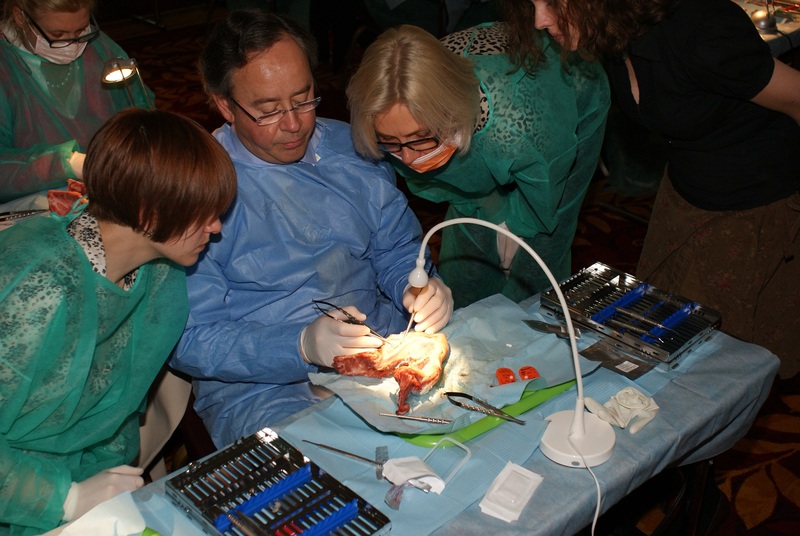 Then the workshop participants will perform these surgical techniques step by step on a pig mandible model.